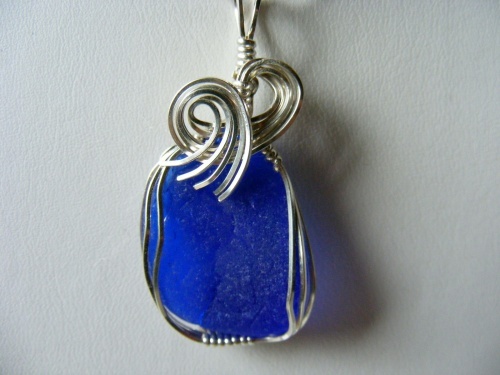 This pretty piece of authentic cobalt seaglass is dramatic with its sterling silver curls dripping over the front. Cobalt is one of the rarer colors and much harder to find. Piece measures 1 3/4" long from the top of the bail to bottom of seaglass piece and 3/4" wide. Comes with a sterling silver snake chain.